Road cycling is Corratec's love and passion. 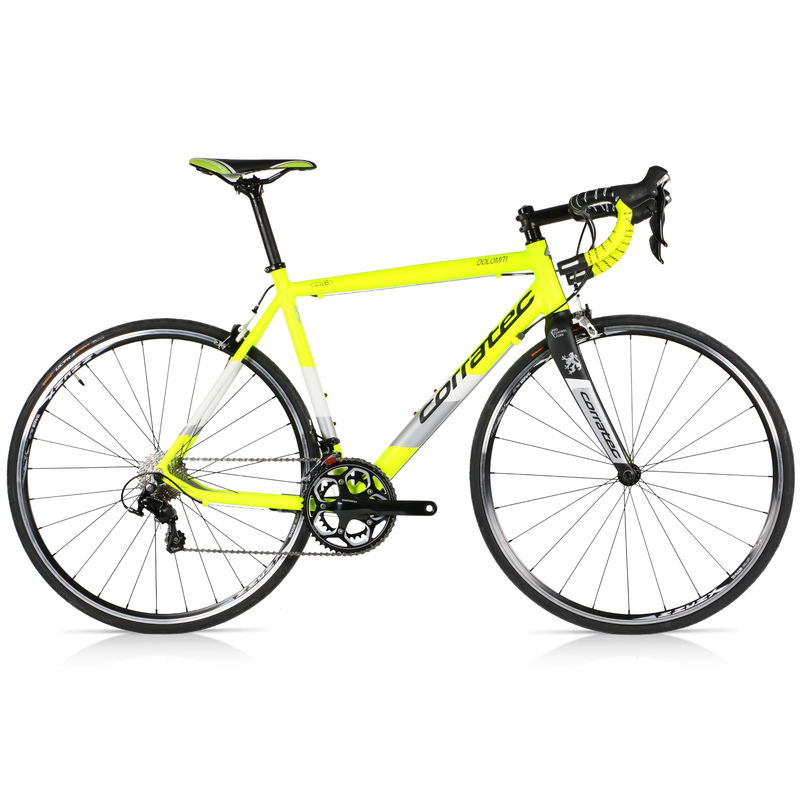 The Dolomiti is Corratec's lightweight and strong alloy frame road bike. The relexed sportive geometry gives a comfortable position that encourages all day riding. The Dolomiti features a light and sporty alloy frame with a confident geometry, a carbon fork with Corratec's Pro Control Technology that is highly aerodynamic that reduces drag and contributes to the bikes great stabiliy. A precise shifting Shimano Ultegra Mix groupset helps finish off this very competitively priced package.